Our V-Flow air induction system was designed specifically for the Cayenne to increase power and torque by allowing more air into the engine. 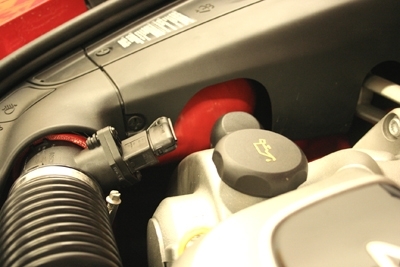 Our specially designed air boxes seal off the area behind the headlights to allow our custom cone air filters to breathe unrestricted fresh air. 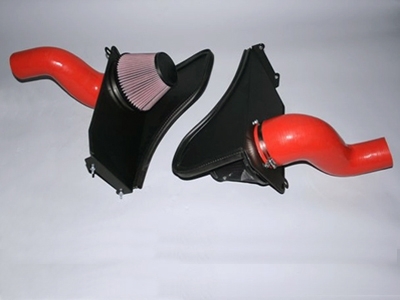 The V-Flow air intake system was engineered utilizing state of the art CAD CAM 3D modeling, CNC machining, computer controlled Superflow air flow testing, rotational molding, injection molding and countless man hours. 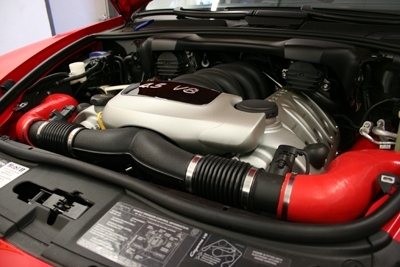 The Cayenne V-Flow system installs in the factory location where the OEM air boxes sit and utilize the OEM “ram air” fresh air ducts for lower air intake temperatures and added power. 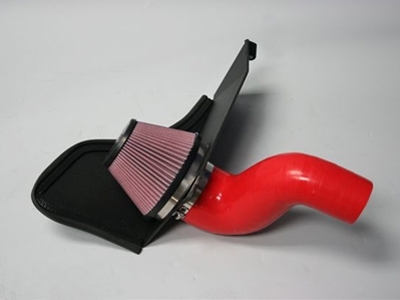 Our laser cut heat shields prevent the ingestion of engine air into the air filter for more dense intake air. Additionally, our system incorporates a custom cotton air filter with optional synthetic filter sock and a 6” injection molded Venturi that acts as a vacuum for cold-air. As tested on our 2005 Cayenne S using a Mustang 500SE AWD dyno. An average of 5 runs were done for each test. The high and low figures were discarded and the 3 remaining tests were averaged to determine power gains.